Nothing shows healthiness than a nice bright smile at least in my opinion. I struggled at first to get my little one's to brush until they were able to see how powerful not brushing can look on teeth. I've always been a stickler to nice white teeth and have tried many products on my pursuit of such. 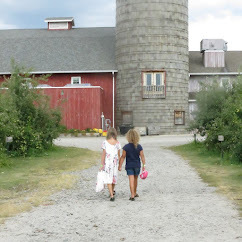 I often look for the latest and greatest to keep my girls inspired not only for looks but just for health. I don't want them being like their grandparents who have no teeth and lost their teeth at an early age. Flossing is another big chore for them in spire of telling them how important it is to floss. Recent studies have pointed out that regular flossing helps to improve life expectancy since it decreased the likelihood of gum disease and heart disease. When I tried to teach them about flossing, it was hard for my youngest to grip the floss thread so she essentially gave up. She is a hot head and sometimes, I have to choose my battles. My nine year old was okay with it but she was making her gums bleed at times by not being able to use it correctly. We tried the floss sticks that have it pre-arranged for easier use and they were okay but it was just a routine task that became boring rather quickly. When I tried the Waterpik Water Flosser for Kids, everything changed. 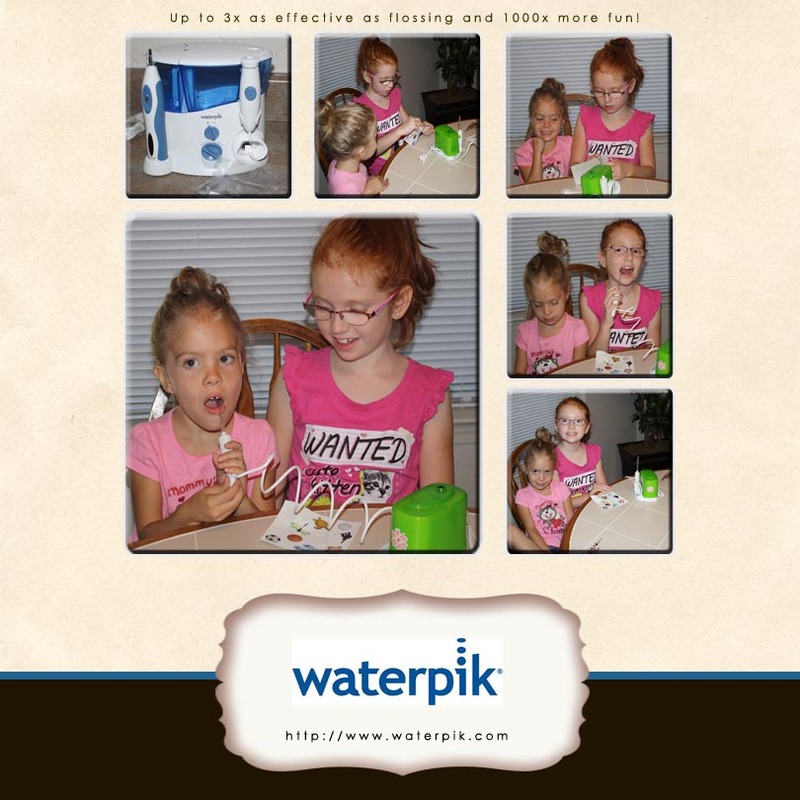 This really cool way to clean teeth was fun and exciting! It was easy now to convince them that flossing is not enough and that this new way to floss was definitely 1000 times more fun. Getting children engaged also means making things more personalized and fun. 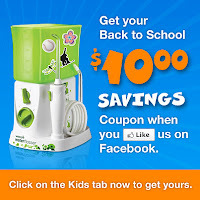 They took great pride in making their Water Flosser for Kids just their own with enclosed "cool" stickers. 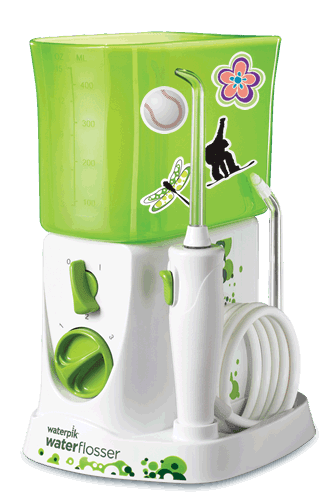 As a parent, it's up to me to lead by example and since I've already been promoting healthy teeth and gums for awhile, being able to use the Waterpik Complete Care system. 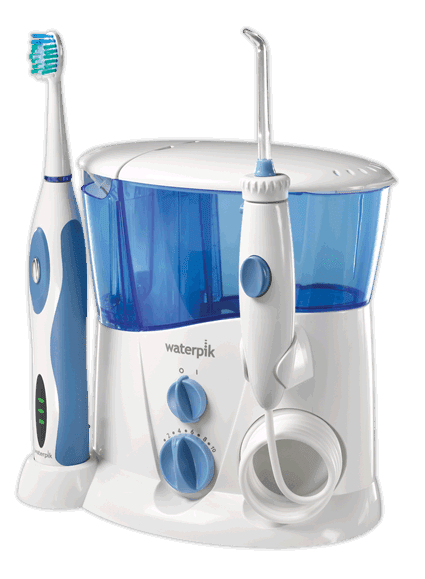 Showing them that flossing is not enough and that flossing and brushing with my Waterpik toothbrush is 159% more effective versus manual brushing. I really like the convenience in having a two in one system where I can ensure my teeth are really clean. I'm very happy with how my children have caught on the importance of healthy teeth and gums. I know they will carry this forward as a good habit as they get older. 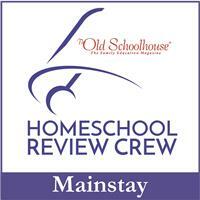 This has been a great addition in our path to healthier lifestyles with making a boring task more fun. Anything to encourage good health is alright with me. 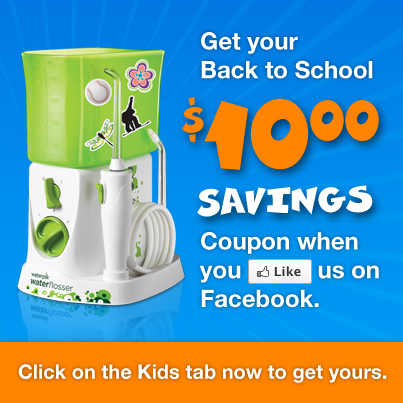 Right now, you can get a $10 coupon on the Water Flosser for Kids on Facebook and a $10 savings on the Complete Care System. *Disclosure: I received free product in exchange for this post. All opinions expressed are my own.